after the sale to make them feel good (or even ecstatic) about their purchase? much more engaging for customers. 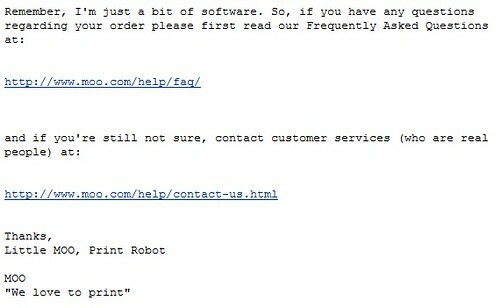 I received an email from Little MOO, their official print robot. 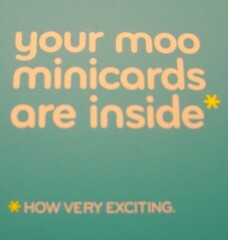 and 2) that’s very exciting. It’s often what you do after an order that creates loyal and happy customers. they’ve checked out at the cash register. their purchase? If so, who are they and what makes them stand out? find their true north. Find Shawn at CourtingYourCareer.com.